As mentioned in Part 1/5 and Part 2/5 of this series, Stewart et al. (2014) provide a framework to implement Patient Centered Care (PCC), organized around four interactive components. In this entry, we will consider the 2nd component, Understanding the Whole Person. The additional layer to this component is understanding the patient as part of an eco-system, in a way. “Proximal context” generally includes one’s immediate family and other important persons in our patient’s living circumstances. Expanding outward, we would like to know about living circumstances (neighbors, care-givers), employment status and associated listening challenges; social supports within one’s community, and so on. Additionally, “distal context” may be relevant to many patients, if their culture and community play an active part in their life. “Listen and Learn” — But Don’t Stop! There is more to the “understanding” component than meets the eye. To be of any value, our understanding must be actively communicated to the speaker. Merely listening and processing the input does not help a patient “feel heard.” We must actively respond. Consider these details from a study that tracked patient comments, subsequent physicians’ responses, and ultimate patient outcomes to get a sense of how important it is to actively convey understanding. They also took the additional step of evaluating consequences: what were the outcomes relative to patient care? The flow chart below tracks the three “response choices.” When physicians ignored patient emotions, outcomes were unproductive at best: when distance and even antagonism develops, we know we are going in the wrong direction. However, when physicians responded to emotions (i.e., what patients actually wanted to talk about) with neutral or actively focused responses, outcomes were productive: additional discussion led to a confirmation of goals; support was conveyed; patients and physicians understood they were on the same page. Did Responses Make a Difference? Of course they did. Let’s assume that physicians in the first column of boxes did hear their patients’ emotional concerns, but simply failed to respond in an active way to let the patients (and the researchers) perceive it. It is quite easy to become distracted, anticipate other topics, notice the time and rush ahead. But missed opportunities have consequences; our efforts to be patient-centered must keep “active understanding” a high priority. Audiologists interested in improving this skill might consider partnering with a colleague to observe/count instances of active understanding by using the PCOF. Research (e.g., Singh et al. 2016) consistently supports the value of including family members (“proximal context”) in audiology appointments. This essay provides some food for thought. This easy-to-easy and literally patient-centered tool helps the audiologist understand not only our patients’ family/”proximal” contexts but also their “distal” contexts. 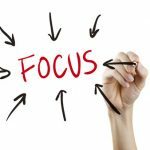 Organizing and prioritizing one’s “communication world” has the double benefit of helping both the audiologist and the patient understand the impact of hearing loss. The Ultimate Question: Is “Active Understanding” an Evidence-Based Practice? See Tzelepis et al. (2015) to learn more. I routinely inquire about a patient’s proximal and distal contexts. 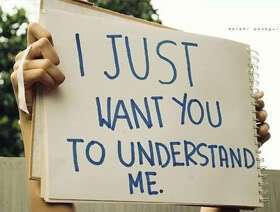 I am aware of the risks of not actively conveying understanding about a patient’s emotional responses to hearing loss. I would find it helpful to review my responses to determine if they conveyed active understanding. I actively include family members in appointments (per patient preference). I can explain why “active understanding” is an evidence-based practice. Adams K et al. (2012). Why should I talk about emotion? 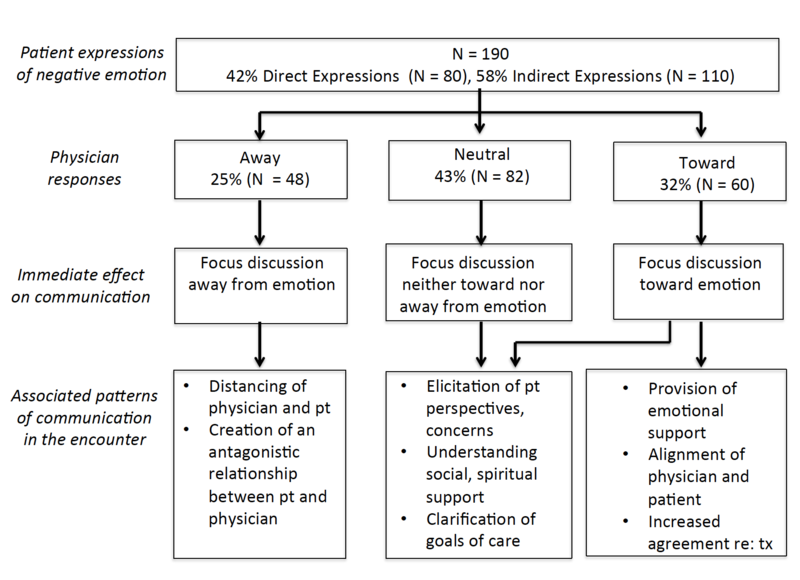 Communication patterns associated with physician discussion of patient expressions of negative emotions in hospital admission encounters. Patient Education and Counseling, 89, 44-50. Keen, M., Caswe-Lucas, J., Carline, J., & Mauksch, L. (2015). Using the patient centered observation form: Evaluation of an online training program. Patient Education and Counseling, 98, 753-761. Singh, G., et al. (2016). 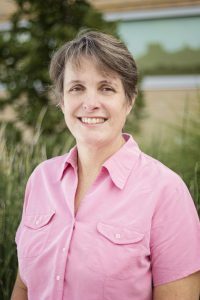 Family-centered adult audiologic care: A Phonak position statement. Hearing Review, 23(4), 16-21. Stewart, M., Brown, J.B., Weston, W.W., McWhinney, I.R., McWilliams, C.L., & Freeman, T.R. (2014). Patient centered medicine: Transforming the clinical method (3rd ed.). London: Radcliff Publishing. Tzelepis, F., Sanson-Fisher, R., Zucca, A., & Fradgley, E. (2015). Measuring the quality of patient-centered care: Why patient-reported measures are critical to reliable assessment. Patient Preference and Adherence, 9, 831-835. As mentioned in Part 1/5 of this 5-part series, Stewart et al. (2014) offer a framework to help us understand and implement Patient-Centered Care (PCC), organized around four interactive components. In this entry, we will consider the first component, Exploring Heath, Disease and the Illness Experience. The very phrase may strike audiologists as odd: after all, we communicate with patients from the onset, starting with the case history. How is that different from exploring? 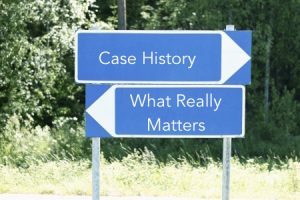 Exploration does include the typical case history (“history, physical, lab”), but that step alone certainly does not encompass the entirety of the patient’s experience. 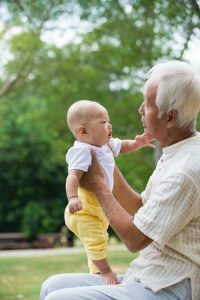 In audiology, patient-centered care also strives to understand patients’ “unique perceptions and experience” of hearing loss: what it means to them, their thoughts and feelings about their experience, how HL is affecting their lives, and their expectations re: hearing help. These concerns are not necessarily revealed while collecting health and hearing history. 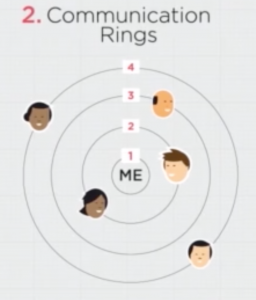 We know full well that hearing loss impacts “the self” (self-concept, self-confidence, self-efficacy), as well as family relationships, social interactions, community engagement, leisure activities. 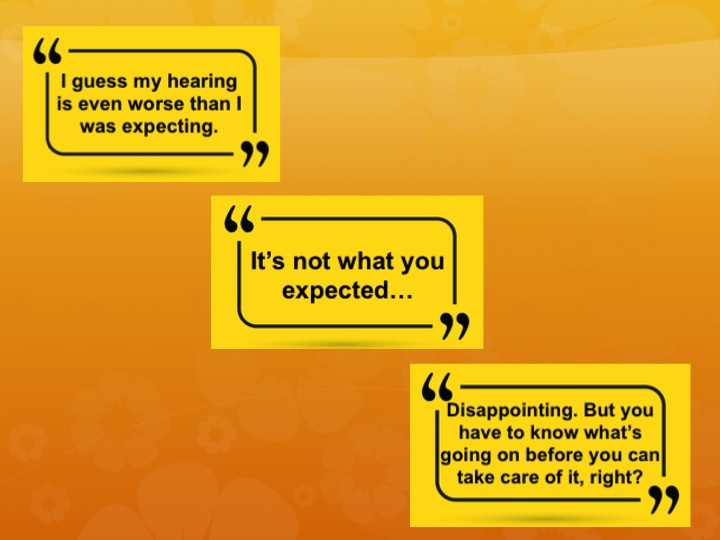 Patients may be distressed about these impacts and want us to understand them, or they may not be ready to accept the reality that their hearing is changing. Whatever the starting point, in addition to collecting case history information (by definition “ear-centered”), we are also challenged to find ways to explore our patients’ “unique perceptions and experience” of hearing loss. What does exploration look like in audiology practice? Good news: it does not involve radical changes. Even better news: exploration adds an additional level of essential human connection to the encounter. A very familiar start! And also a patient-centered start. However, after a patient’s first few sentences, we reach a conversational crossroads and make a decision: either transition to the “history” piece, or explore a little further to find out what really matters to the patient. When a patient completes a self-assessment, we often glance over the results and then add it to our report with no discussion. If so, we miss an opportunity to explore. Self-assessments give patients a framework to reflect upon and disclose pieces of their lives; the results are a natural springboard for an exploratory conversation. 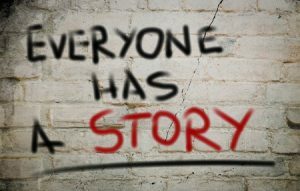 Even if the self-assessment addresses only situational challenges (e.g., work, restaurants), we can invite personal observations: “You indicate here sometimes feeling embarrassed when meeting new people (per HHIE-S, Newman & Weinstein, 1988). Does an example come to mind? Could you tell me more about it?” We might learn what embarrassment means to this unique patient: that it may mean choosing to opt out of social settings, that the experience also includes frustration, discomfort, discouragement, worry. However the patient frames the experience, putting those concerns into words begins a self-help process: patients gain meaning, and eventually mastery, of their situation. The invitation to elaborate may not be accepted but we should still try, because “tell me more about it” is a fundamental patient-centered practice. 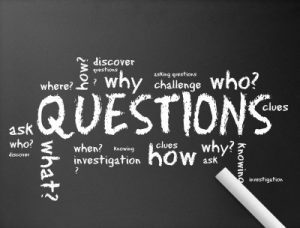 Open-ended questions come easily to some audiologists, while others worry about losing control of the conversation. It can take some practice and perhaps asking a colleague for moral support, but it’s worth the effort. Insisting on conversational control is the antithesis of PCC. A caveat re: open-ended questions: Not every patient will want to actively participate in these conversations, and they have a right to decline. As van Dulman (2003) puts it, “Listening to patients and having them decide how much they want to participate may actually be the essence of patient-centered care” (p.195). Whether from self-assessments or spontaneous conversation, we hope to engage our patients and learn how we can help. As they answer our question, “What brings you here today?”, patients tentatively drop their guard, begin to feel accepted, and decide whether we can be trusted. That trust must be in place before patients decide to move forward. As we know, listening requires our full attention (no multi-tasking); therapeutic listening also requires us temporarily to refrain from advice-giving and problem-solving. It is often not in an audiologist’s nature to “let a patient feel the way she feels,” but patient-centeredness is based on this principle. When patients express gratitude for our time and attention, we may find ourselves saying “all I did was listen,” but we will also know why it helped. Worried about silences? Think about them as waiting; it can make a difference in our comfort level. 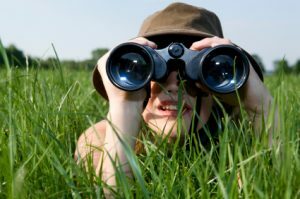 The Ultimate Question: Is “Exploring” an Evidence-Based Practice? See Zolnierek and DiMatteo (2009) to learn more. During my first conversation with new patients, I can recognize the “conversational crossroad” when it approaches. 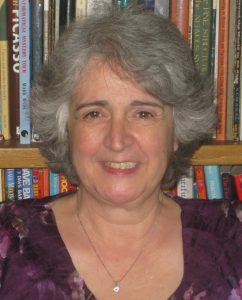 I am comfortable using a self-assessment to explore a patient’s experiences living with hearing loss. I am generally comfortable using open-ended questions. By the end of an appointment with new patients, I have learned something unique about them. I can explain why Patient-Centered Care is an evidence-based practice. Newman, C., & Weinstein, B. (1988). The Hearing Handicap Inventory for the Elderly as a measure of hearing aid benefit. Ear and Hearing, 9(2), 81-85. Stone, D., Patton, B, & Heen, S. (2009). Difficult conversations: How to discuss what matters most. NY: Viking. van Dulman, S. (2003). Patient-centeredness. Patient Education and Counseling, 51, 195-196. Zolnierek, K.B., & DiMatteo, M.R. (2009). Physician communication and patient adherence to treatment: A meta-analysis. Medical Care, 47, 826–834. Effective: providing services based on scientific knowledge to all who could benefit, and refraining from providing services to those not likely to benefit. Patient-centered: providing care that is respectful of and responsive to in­dividual patient preferences, needs, and values, and ensuring that patient values guide all clinical decisions. “Patient-centered care (PCC) is a poorly conceptualized phenomenon and can indicate anything from soothing room design, emotional support of patients, customization of meals, to support of patient decision making. This inconsistency across the clinical and research literature makes the application of PCC difficult” (Hobbs, 2009, p. 52). “The term person-centered care (PCC) has been frequently used in the literature, but there is no consensus about its meaning” (Morgan & Yoder, 2012, p. 6). “A clear definition is lacking” (Rathert et al., 2012, p. 351). “The implementation of PCC has been hampered by the lack of a clear definition and method of measurement (Robinson et al., 2009, p. 600). “We still don’t know how to do [PCC] or how to teach it” (Cassel, 2013, p. xii). 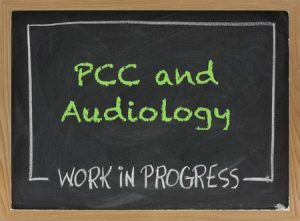 To date, patient-centered care (PCC) has been only indirectly addressed in audiology, likely resulting in the same problems with clarity mentioned above. 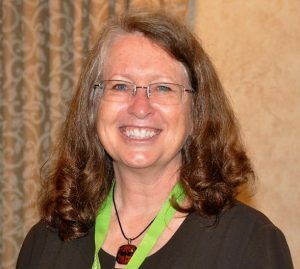 However, clarity is needed now more than ever, as audiology strives to elevate its relevance in health care “beyond the audiogram” and “beyond technology” by returning, as many say, “back to our roots” as fully-rounded and value-added care providers. For our patients’ sakes and for our future as a helping profession, we must commit to and effectively practice evidence-based patient-centeredness. 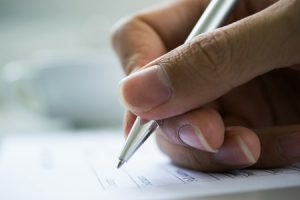 Each module will include an informal self-assessment, plus encouragement to connect with a like-minded colleague to discuss, test out, and grow into new patient-centered practices. A seemingly small change such as not describing the audiogram to every new patient merely out of habit tends to make us very uncomfortable. Support from colleagues can help us step out of our comfort zone. Invitation: If the reader is interested in contributing to this topic, please send a note to the email address at the top of this page. Cassell, E.J. (2013). The nature of healing: The modern practice of medicine. New York: Oxford University Press. Hobbs, J.L. (2009). A dimensional analysis of patient-centered care. Nursing Research, 58(1), 52-62. Institute of Medicine. (2001). Crossing the chasm: A new health system for the 21st century. Washington DC: National Academy Press. Morgan, S., & Yoder, L.H. (2012). A concept analysis of patient-centered care. Journal of Holistic Nursing, 30(1), 6-15. Rathert, C., Wyrwich, M.D., & Boren, S.A. (2012) Patient-centered care and outcomes: A systematic review of the literature. Medical Care Research and Review, 70(4), 351-379. Robinson, J.h., Callister, L.S., Berry., J.A., & Dearing, K.S. (2008). 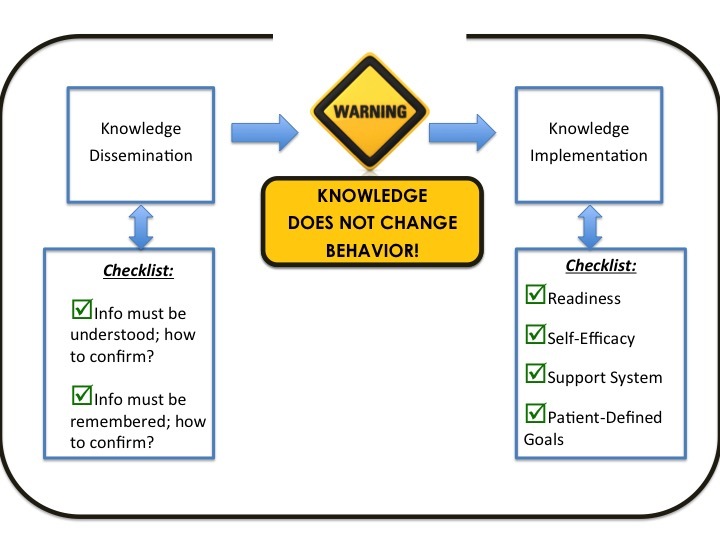 Patient-centered care and adherence: Definitions and applications to improve outcomes. American Academy of Nurse Practitioners, 20, 600-607. Several years ago, our university went through, what seemed at the time, a major upheaval as we transitioned from a quarter-based institution to the more conventional semester system. In the process several courses in our department that had previously been separate were combined. In subsequent years my teaching of counseling and audiologic rehabilitation have become intertwined which has led to a more hands on, practical learning of both topics. 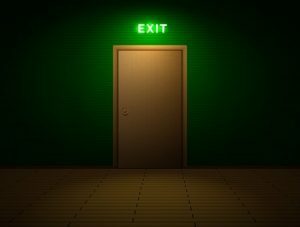 Preparation of future clinicians within our profession is likely not that different than in other professions in many ways. 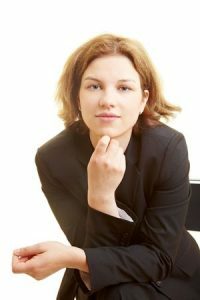 I am sure that we are not unique in the dilemma that classroom teaching does not always reflect what students practice in their clinical settings. In the 1960s and 1970s we ardently argued that the full management of hearing loss, including the dispensing of products to assist those with hearing deficits, could indeed be done ethically. And we argued that we were the best prepared to provide this service and that we could do it better. I do believe we are better prepared and can fully service those with hearing loss more effectively than other hearing health care professions. However, it is dismaying that we largely adopted the dispensing practices already in place and have not substantially deviated from these over the years to incorporate better use of personal adjustment counseling and to address more fully the rehabilitative needs of patients. In the classroom, I teach hearing aid fitting and the continued post-fitting needs of the patient with a strong counseling emphasis. My students frequently tell me what I already know: that this is not what is seen in their practicum sites. They seem to have forgotten that I forewarned them of this. 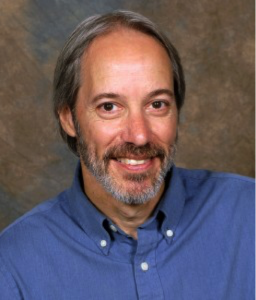 Teaching Counseling in Audiology: Are We There Yet? The importance of counseling is well recognized for the vital role it plays in audiology service delivery. There are text books devoted to counseling (e.g., Clark & English, 2014), and continuing education opportunities for interested professionals. Counseling is included in audiology scopes of practice (ASHA, 2004; AAA, 2004), and audiology preferred practice guidelines (ASHA, 2006). It sounds like as a profession we have this covered. But do we? 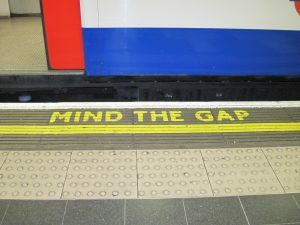 Even though there is agreement on the foundational role counseling plays in audiology service delivery, the lack of depth in professional practice guidelines leaves expectations for graduate training vague. Counseling competencies, just like other skills audiologists learn, need intentional instruction for knowledge and skill acquisition. Similar to student learning for other evidence-based audiology services, bridging of knowledge is needed between coursework and clinical experiences. For this to occur, clinical supervisors need to be intentionally practicing and teaching evidence-based counseling skills. Without careful attention to counseling training, it is unlikely that graduate students will be purposeful in their approach to counseling. You may be thinking, of course counseling is happening, why would this be a problem that needs attention? Patients have shared their experiences with audiologists and it is clear that counseling ability does not just happen to develop along the way. Parents have reported gaps in the information and support they received (e.g., Larsen et al., 2012; Muñoz et al. 2013). Hearing aid uptake among adults with hearing loss is low (Kochkin, 2009), but influential factors are not well defined. There is a need for further research to better understand the influence of factors such as audiologists’ counseling skills, patient self-efficacy, and overall type and quality of interactions between the audiologist and patient (Knudsen et al., 2010). Recent research has also raised concerns with how counseling conversations are happening in audiology. 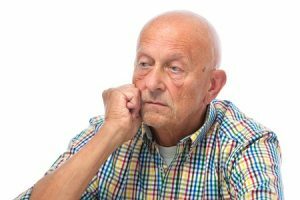 Analysis of audio-recorded appointments with adult clients considering hearing aids revealed that audiologists responded to client psychosocial concerns with technical information, ignoring the emotional content of concerns raised (Ekberg et al., 2014). 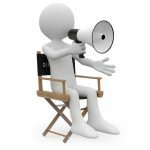 During history-taking, in a related study, audiologists often interrupted the client early on, and then maintained verbal dominance during the appointment (Grenness et al., 2014). Patient-centered care is widely recognized as an important feature of healthcare delivery that can lead to improved outcomes and adherence with recommendations (Robinson et al., 2008; Zolnierek & DiMatteo, 2009). Patients seeking audiology services, not surprisingly, also want services that are patient-centered (Laplante-Lévesque et al., 2014). It may seem that being patient-centered should occur if the practitioner values it and is aware, but awareness alone is not sufficient for changing behavior (Muñoz et al., 2015). Counseling is more than being a caring and compassionate professional, and while the skills needed to provide effective counseling are not necessarily difficult to learn, they are not intuitively implemented. Just think about a time when you did not feel heard, or were not given an opportunity to voice your thoughts, or were told how to fix your health concern. Effective use of counseling skills requires knowledge about behavior and factors that influence behavior (yours and your patients), opportunity to practice implementing skills, and performance feedback. In other words, it needs to be intentionally taught, just like other skills in audiology such as completing a diagnostic test or troubleshooting hearing aids. Teaching counseling in our graduate training programs needs to be approached from an evidence-based perspective. Audiology would benefit from clear evidence-based counseling guidelines that provide a consistent message about the purpose, indicate needed knowledge and skills, and training considerations for classroom and clinical experiences. Teaching counseling in audiology is in need of attention and further research to improve educational practices, implementation of skills, and most importantly, to positively influence client and family outcomes. American Academy of Audiology. (2004). Scope of practice. American Speech-Language-Hearing Association. (2004). Scope of practice in audiology. American Speech-Language-Hearing Association. (2006). Preferred practice patterns for the profession of audiology. Clark, J.G., & English, K.M. (2014). Counseling-infused audiologic care.Boston: Pearson. Grenness, C., Hickson, L., Laplante-Lévesque, A., Meyer, C., & Davidson, B. (2014). Communication patterns in audiologic rehabilitation history-taking: Audiologists, patients, and their companions. Ear & Hearing, 36, 191-204. Knudsen, L.V., Oberg, M., Nielsen, C., Naylor, G., & Kramer, S.E. (2010). Factors influencing help seeking, hearing aid uptake, hearing aid use and satisfaction with hearing aids: A review of the literature. Trends in Hearing, 14(3), 127-154. Kochkin, S. (2009). MarkTrak VIII: 25-year trends in the hearing health market. Laplante-Lévesque, A., Hickson, L., & Grenness, C. (2014). An Australian survey of audiologists’ preferences for patient-centeredness. International Journal of Audiology, 53:sup1, S76-S82. Larsen, B., Muñoz, K., DesGeorges, J., Nelson, L., & Kennedy, S. (2012). Early Hearing Detection and Intervention: Parent experiences with the diagnostic hearing assessment. American Journal of Audiology, 21, 91-99. Muñoz, K., Blaiser, K., & Barwick, K. (2013). Parent hearing aid experiences in the United States. Journal of the American Academy of Audiology, 24(1), 5-16. Muñoz, K., Nelson, L., Blaiser, K, Price, T., & Twohig, M. (2015). Improving support for parents of children with hearing loss: Provider training on use of targeted communication strategies. Journal of the American Academy of Audiology, 26(2), 116-127. Robinson, J.H., Callister, L.C., Berry, J.A., & Dearing, K.A. (2008). Patient-centered care and adherence: definitions and applications to improve outcomes. Journal of American Academy of Nurse Practitioners, 20, 600-607. Those of us who teach counseling to Au.D. students can look to a variety of sources as we develop coursework. Descriptions of approaches used by professional counseling educators, colleagues in other health professions who are teaching counseling, and our own colleagues are available to us, and efficacy studies in audiology are beginning to appear (e.g. English & Archbold, 2014). During the time I taught counseling, I used a variety of learning activities. I have no efficacy research to report, but perhaps my experiences with these learning activities and my thoughts about them might be of interest to readers of this forum. One of the learning activities I used involved inviting patients to visit the class. Each semester, through networking, I located patients who would be willing to join the counseling class for our afternoon group meeting. I should mention that our class met once each week and was three hours long to avoid constraints imposed by the standard 55 minute class session. In scheduling patient visits each semester, I arranged for one of the visitors to be an adult with hearing loss and one visitor to be a parent of a child with hearing impairment. We began each session by briefly introducing ourselves individually and asking the visitors to then do the same. The visitors, though, would keep talking. They would tell us things they thought would be helpful for students to hear. These visits were all memorable, and sometimes they were very moving. The visitors understood that the purpose of their visit to our class was to create a situation where they would be the teacher while the student, with no white coat on, could truly be a student and not a student clinician. Students were encouraged to ask questions. The visitors knew that they could decline to answer a question if they wished, but it is notable that, without exception, the visitors seemed to welcome the opportunity to share their experiences. 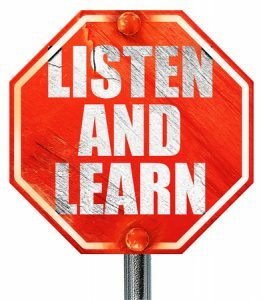 Here was a situation where listening and understanding was the very purpose of the encounter, not testing, not interpreting results, not making recommendations…….just listening. It was my hope that the students would learn not only about the specifics of that visitor’s experience, but that they would see that patients have much to teach them. I got an A on the quiz, confident I had the world by the tail, eventually graduated and worked in the field… and immediately realized that my answers, although not wrong, were not enough. I was assuming that all patients were ready to accept my recommendations and would follow up accordingly. And of course, that was not happening. There were days when only a few patients moved forward with hearing help. Patients were far more complicated than I had expected, and I wasn’t factoring in any of those complications. I didn’t even know what those complications were. There was no terminology for my approach at the time, but now I know it can be called audiologist-centered (i.e., it was all about me). Consistent with my quiz answers, I expected to direct the appointment, while the patient passively followed my lead. I didn’t intend to be disrespectful or dismissive of the patient’s role, but I held a naïve (some would say paternalistic) assumption that patients had no say because they didn’t know what I knew, and I knew best. In reality, of course adult patients are anything but passive: they are autonomous beings and they will make decisions with or without our involvement (Tauber, 2005). In contrast to my first efforts, patient-centeredness is a concept that has now made it to “center stage” (Epstein & Street, 2010) and is considered one of the Institute of Medicine’s (2001) six key elements of high quality care. The IOM defines patient-centered care as “providing care that is respectful of and responsive to individual patient preferences, needs, and values and ensuring that patient values guide all clinical decisions” (p. 6). This kind of care requires dialogue, not monologue, and even further, the ability to develop relationships and partnerships. Today, my quiz answers would be worth a “C” grade at best. 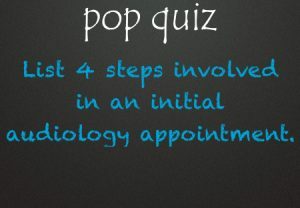 Do all patients really want a crash course in audiology? If not, what do they want from us? 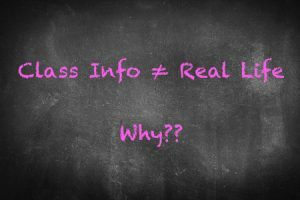 If they do prefer specific information, how do we know if we are sharing information effectively? As we apply patient-centered principles to our audiologic practices, it seems long overdue to examine the practice of unquestionly explaining the audiogram to every patient or caregiver. Apart from habit and training, why do we do this? Is it really necessary? Is it actually meaningful? Should we give patients a choice, or do we truly believe they cannot leave the appointment without a tutorial in audiogram interpretation? Is the exercise a worthwhile use of time? When we examine this “auto-pilot” practice, even more questions emerge. What would happen if we do give patients a choice, and ask if they would prefer a “big picture” summary or the details? If they choose “big picture summary,” will we freeze up? Do we use the audiogram as a prop, or can we put our test results to one side, use simple terms to clearly relate the findings to their initial concerns, and move on? Undoubtedly, some patients will appreciate the time spent reviewing test results, and will understand them. But we cannot assume this is always the case, and to date we also cannot consider it an evidence-based practice. As a deeply-held tradition, reconsidering its value causes a surprising amount of angst. But the point of patient-centeredness is, it’s not about us! Epstein, RM & Street, RL. (2010). The values and value of patient-centered care. Annuals of Family Medicine, 9(2), 100-103. Institute of Medicine. (2001). 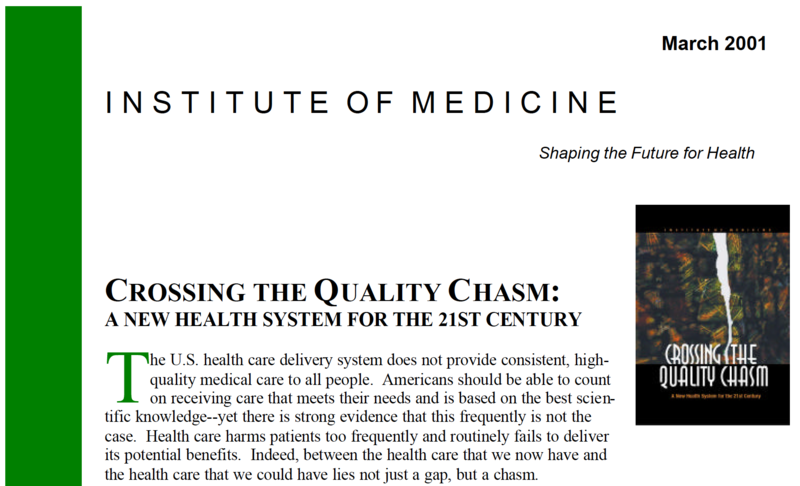 Crossing the quality chasm : A new health system for the 21st century. Washington, DC: National Academy Press. Martin, F.N. (1994). Conveying diagnostic information. In J. G. Clark & F. N. Martin (Eds. ), Effective counseling in audiology (pp. 38-67) Needham Heights, MA: Allyn & Bacon. Tauber AI. (2005). Patient autonomy and the ethics of responsibility. Cambridge, MA: The MIT Press. Audiologic counseling is like a two-sided coin: one side attends to patients’ emotional and psychological struggles, and the other side, to their need for clear, relevant, and compelling information. Goleman (1995) would describe these two goals as communicating either with the “feeling mind” or the “thinking mind.” The concept of “being of two minds” is a familiar one, but communicating with a patient’s “thinking mind” (more specifically, our efforts in patient education) hasn’t attracted much attention in audiology. Providing information without helping patients apply it to their lives. Let’s ponder that last point for a moment. Information designed to “help patients apply it to their lives” elevates patient education to a new level of responsibility. We are not only talking about providing information, but also using information as a vehicle for change. This concept is relatively new. Falvo (2011) notes that while “many people think of patient education as the transfer of information … the real goal is patient learning, in which patients are not only provided with information, but helped to incorporate it into their daily lives” (p. 21). We are being invited to redefine this process, to evolve from a monologue of information-giving into an interactive framework for change. The concept of “effective patient education” can be new territory for many audiologists. How do we find our way? 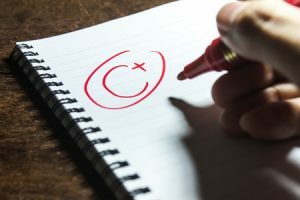 This article outlines a suggested checklist to guide us, applying classic teaching/learning principles culled from exemplar patient education materials. Patient education has a familiar starting point: knowledge dissemination. When We Think “Adult Patient,” Do We Also Think “Family”? Perhaps audiology has paid little attention to what it means to serve adult patients in a family context because we assume it is a “given.” However, some recent research indicates we should give this topic deeper consideration, and not take our practices for granted. Families are universal in all cultures, but definitions vary widely. A simple, popular, and inclusive definition is “two or more people who consider and define themselves as a family.” Another inclusive definition is “any group of intimates with a history and a future” (Ransom & Vandervoort, 1973). Biological and legal ties are traditional but not required. It is likely all readers know of someone who was “adopted” as a cousin or aunt or brother because of long-standing involvement and support that transcended simple friendship. To be “considered family” when not actually related is usually accepted as a high honor.